Stamford Academy is a specialist education and language centre situated in the heart of Stamford. We are dedicated to providing quality English language, foreign language, GCSE and 11+ tuition. Safe. Traditional. Beautiful. Study in England’s finest stone town. All of our classes hold 10 students or fewer. Stamford Academy will soon be offering two new and exclusive 20-week immersion courses for Professional and Academic international students. 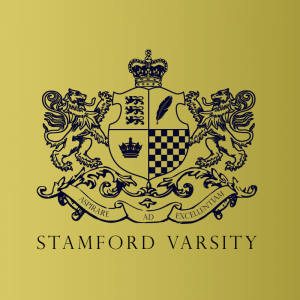 Our Stamford Varsity courses are designed specifically to enhance international students’ prospects in the UK’s business and academic environments. In my opinion, Stamford is one of the best places to improve my level of English because you can meet and speak with real local English people. Thanks to Stamford Academy I met student from all around the world which is a very nice experience and I still keep in touch with them. I didn’t think it was possible to improve my English so quickly. I studied two months in Stamford Academy, I had a fantastic time and met people from all over the world. A great experience! Today I work in London for an IT company and often go back to Stamford as I still have many friends there. Browse our courses or get in touch about your requirements.